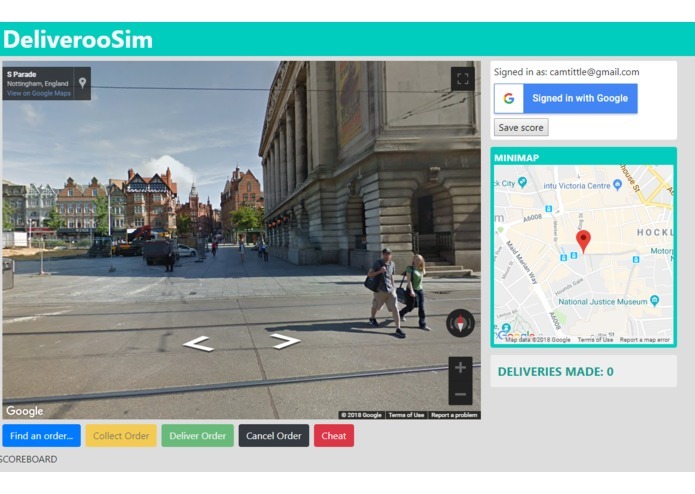 Collect and deliver food orders by tediously clicking around street view!! Uses street view and google places to find local restaurants for you to collect from, then finds images from the reviews and determines what food you will be delivering. You then gotta click about a lot to get to the location. There's a minimap showing a top down view too. Getting the image recognition working, we think its kinda cool how it's able to work out what images have food in. Lewis had never used angular before ("I'm now a full stack dev!!!"). It's coming out on Xbox One and PS4 next month.